[dropcap]C[/dropcap]oming from a classically trained dance background in Phoenix Arizona, Bonita began her professional career performing with and choreographing for the Phoenix Mercury Hip-Hop Squad and the Phoenix Suns Dance Team. Since then she has performed with artists such as Jason Derulo, P. Diddy, Black Eyed Peas, Sean Kingston, Fergie, Jamiroquai, Wyclef Jean, Midnight Red, Stooshe, Bon Qui Qui, Redman, Q-Tip, Eric Sermon, Biz Markie, KRS-ONE, and Doug E. Fresh. Not only has she had the opportunity to perform with such artists, but she has also been featured on Disney’s “Shake It Up”, Nickelodeon’s “Fresh Beat Band”, “American Idol” and has worked as an animation dancer on the movie, RIO. Additionally, she has performed in corporate events for NIKE, ADIDAS, Sketchers, Dillard’s, Toshiba, Red Bull and many more. Before moving to Los Angeles to pursue her dance career further, Bonita co-founded and directed Automatic Response, a non-profit dance company, who was featured on the first season of America’s Best Dance Crew. During her involvement with Automatic Response, she wrote, directed, produced and performed in several theater productions featuring AR as well as other top names in dance. Through her creativity, drive and positive influence, she helped establish a united dance scene in Phoenix, AZ. Bonita was highly instrumental in forming Phoenix’s first Hip-Hop after-school program, All the Right Moves, which designed a curriculum to teach students the four elements of Hip-Hop. She has been a member of The Legendary Rock Steady Crew since 2006, whom she credits for her Hip-Hop knowledge and education. She has trained closely under many pioneers such as Crazy Legs, Mr. Wiggles, and Pop Master Fabel. 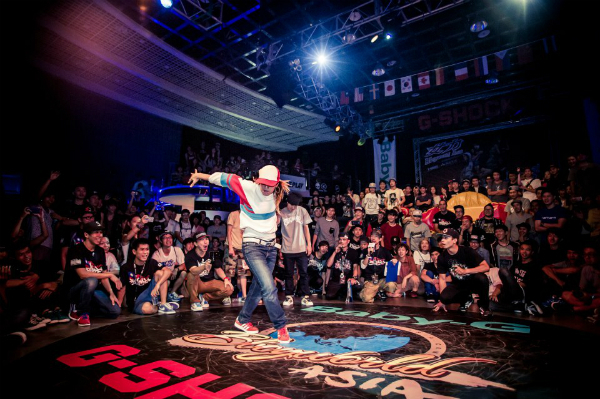 She has won a number of national battles, both individually and with her crew, RSC, and can be seen battling all over the world amongst the top B-boys and B-girls of this generation. Bonita has traveled to Mexico and South America as a member of humanitarian teams, volunteering her time to teach, perform and judge. Her belief and commitment to community and volunteer programs will continue to be a high priority throughout her career. After moving to LA, she became a member of the Groovaloo’s, an LA-based Hip-Hop Company, who was recently featured on Dancing with the Stars. She completed a US tour as well as an Off-Broadway run, performing in their theater production of Groovaloo. Bonita has been teaching professionally for 12 years nationally and internationally. She has traveled to spread her knowledge of Hip-Hop and dance to countries such as Indonesia, Taiwan, Australia, Singapore, London, Japan, Nicaragua, El Salvador, and Mexico. 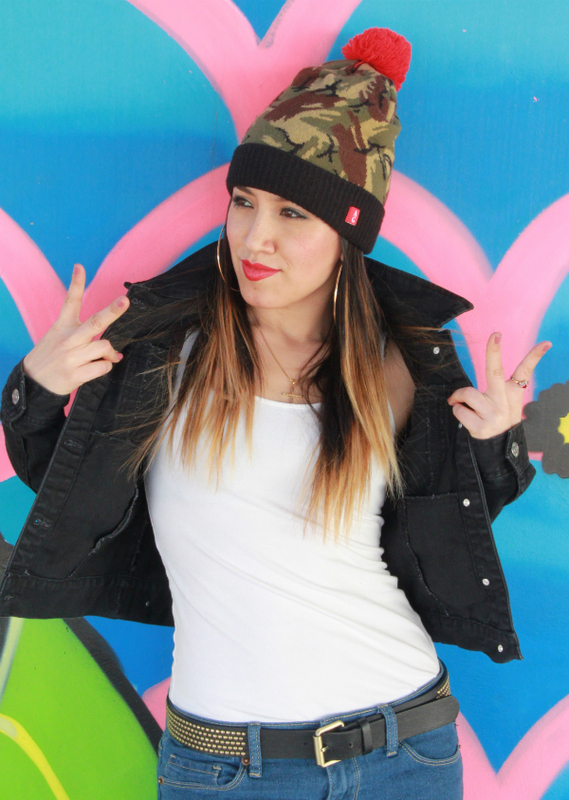 She was recently featured on MTV’s: MADE, where she mentored a young girl in her dream of becoming a Hip-Hop dancer. Bonita teaches, choreographs and judges for both Universal Dance Association and USASF. She is a faculty member for The Groove Expo and Word In Motion, both well-known national dance conventions. She currently teaches and lectures at colleges, universities, community centers, schools and studios all over the world. She is recognized by her fellow dancers for being extremely diverse as a performer and choreographer. 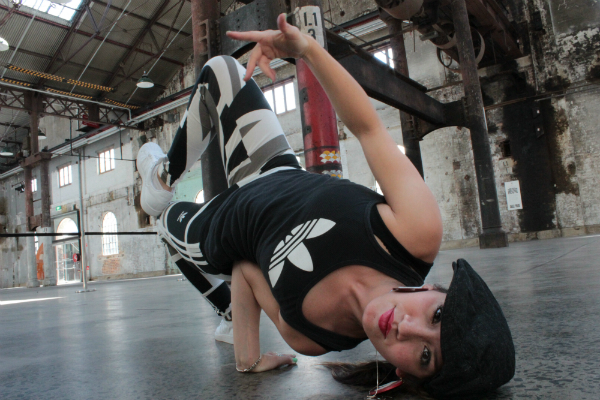 She has bridged her classic studio training with the culture of hip-hop to produce her unique and dynamic style. Bonita recently became the newest member of the world-famous female dance group, The BEAT FREAKS, and can also be seen performing with them on a number of upcoming projects. She is very thankful for the opportunities she has been blessed with and will continues to share her philosophy and insight into dance everywhere she goes. 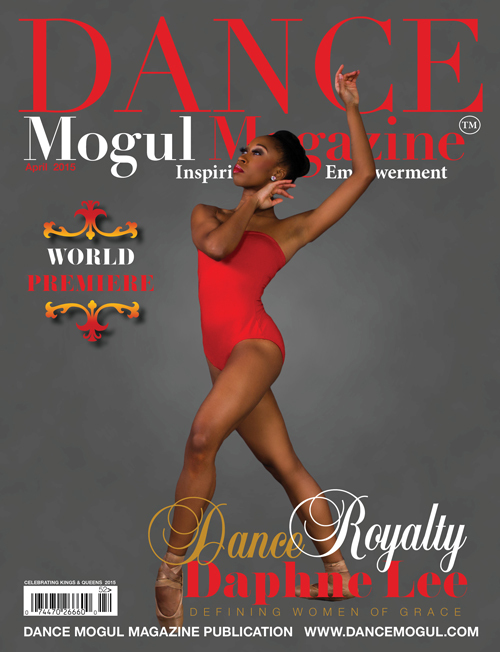 Dance Mogul Magazine is honored to uplift another woman in our culture leading the way for the next generation. Dance Mogul: At what age did you develop a passion for dance? Bonita Lovett: I was definitely forced into class in the very beginning, being taken to ballet classes as every young girl is. The more I was exposed to it, the more I learned and the better I got, my passion began to grow. I would say my Sophomore year in HS is when I knew that I wanted to be a dancer. I couldn’t see myself spending my time doing anything else even though I had no idea exactly what it meant to be a professional dancer. Bonita Lovett: I started dancing at the very young age of 3, taking dance classes at a dance studio in my neighborhood. At that time, my inspirations became the older dancers I saw at the studio as well as my family who was always dancing at our house parties, gatherings, and celebrations. I do remember watching dancers like Gregory Hines, Janet Jackson, Michael Jackson and of course the dancers on Soul Train every Saturday morning! Bonita Lovett: My parents have always been extremely supportive of my dancing, which has been an incredible blessing. My parents, as well as my Nana, sacrificed financially to keep me in dance school, allowing me to travel, to compete, to perform and to excel in my art. They have always been my biggest fans and they remain that until this day! Dance Mogul: How did you develop the discipline to train? Dance Mogul: Did you go through any hardship wanting to be a female dancer? Dance Mogul: What was the Phoenix Suns experience like? Dance Mogul: How were you able to mobilize the dance scene in AZ? Dance Mogul: Tell us about the after school hip hop program? Bonita Lovett: All the Right Moves, a Hip-Hop after-school program birthed out of the need to have the culture be exposed to kids throughout the Valley. I worked closely with Ryan Ingram, in creating a curriculum that teaches the 4 elements of Hip-Hop. There were a big need and schools from Gilbert to the West Valley adopted it and brought it into their districts. It was incredible to be a part of launching such an instrumental program that is still alive and continues to teach kids about Hip-Hop throughout the Phoenix Area. Dance Mogul: Why are you so committed to volunteering in communities? Bonita Lovett: Well, Hip-Hop is a community movement and I wouldn’t be where I’m at without the love and support of my own community, so I feel in my heart that it will always be important to me. I recently taught out at an Arts festival in Surprise, Arizona, called WHAM, that was exposing kids to the Arts. It was fun to be a part of and to help ignite that love into kids that don’t even know it’s inside them yet. I teach all over the world and I can tell when kids really latch on to it and when they don’t or they can’t relate. Like I’ve always said, I would rather there be 10 people in my class that have a true desire to learn instead of 300 students that could care less! My heart is so strong in education and really giving the students something to walk away with not only in dancing but in life, in general. Dance Mogul: You have had numerous experiences like with the Groovaloos and even on MTV, what have been some of your favorites? 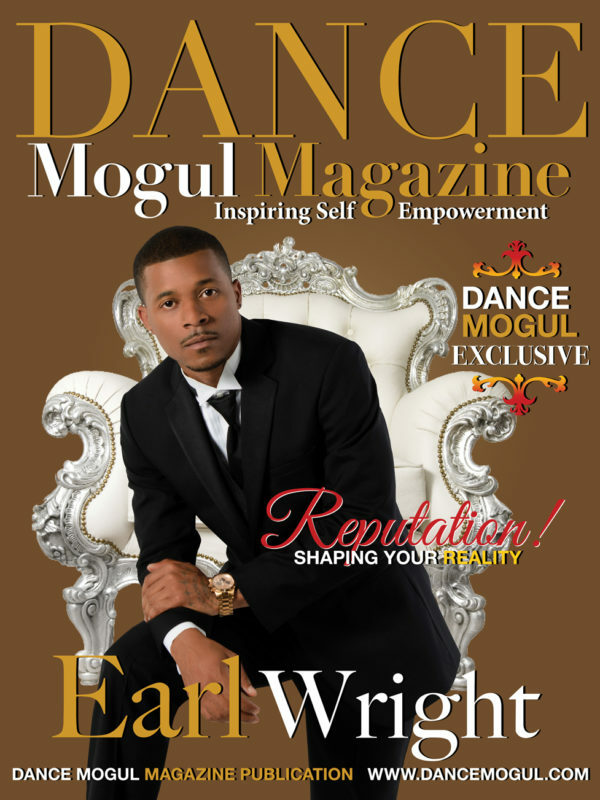 Dance Mogul: Do you feel Dance Mogul Magazine is needed to help shine the light more on the culture and showcase the positive side of it with a unified voice to present to the masses? 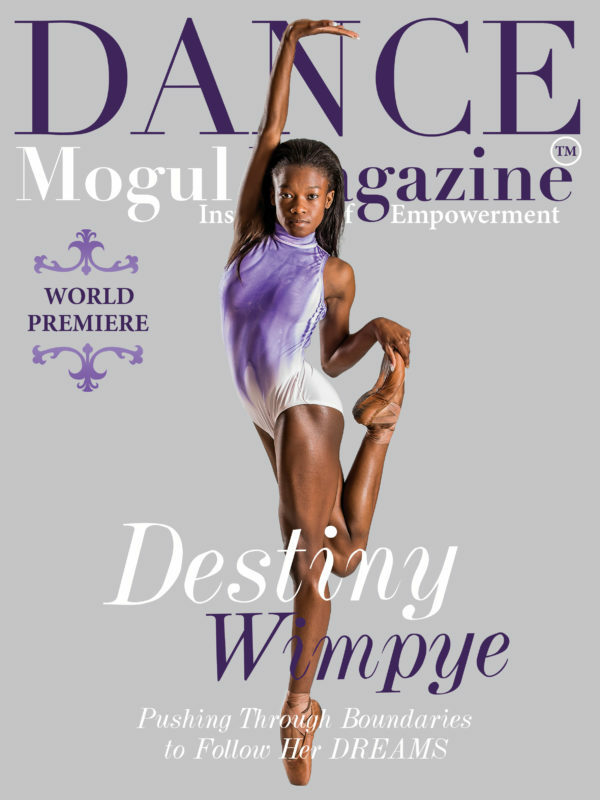 Bonita Lovett: Yes, I think what Dance Mogul Magazine is doing is incredible and is so necessary to shine a light on a side that many people don’t really know. Thank you for giving us the opportunity to share our voice! Dance Mogul: In 2006 you became a member of the Legendary Rock Steady Crew, how did that happen and how has RSC helped you grow? Bonita Lovett: My first memories of RSC live (not on Beat Street) were watching Ervin and T-Rock catching wreck at the Furious Styles Anniversary. I think it was ’02 or ’03. I met Koolski that year too. Being taught under House and FSC in the beginning, Rock Steady was talked about on a regular basis and understanding how this legendary crew did things. I never thought that was a reality for me just a distant dream. I met Crazy Legs in 2004 and would cross paths with RSC members over the years at jams. In 2005 I was at Mighty 4 in SF and Rock Steady Crew had a tremendous presence. I remember cyphering with them and at that point realizing I wanted to be down. In 2006, Legs put me down in the crew and the journey had just begun. Legs saw my potential and I got schooled left and right. I remember saying to myself, I feel like I just started breaking all over again because there was so much I had to relearn! haha RSC definitely shaped me into the Bgirl everyone sees today. Bonita Lovett: Oh man..hahaha I’m just gonna list it: Jesus Christ, my mom, Gloria, my dad, Tony, my brother, Anthony, my Nana Belen, my sister, Mindy, my whole family for being my biggest support since I was a girl, Christine Gonzales, my first dance teacher to have a BIG impact on my life, Chris Wakimoto, House & Furious Styles Crew, Rock Steady Crew past, present and future, Crazy Legs for believing in me, Mr. Wiggles, YNOT, Feenx, Bradley, The Groovaloos, Teresa Espinosa, for being an inspiration before she knew it, The Beat Freaks, Steelo & Penni and everyone who has ever taught me something or guided me at some point in my life. That list would really be everyone I’ve had an encounter with but these people stick out in my mind greatly. Thank you all again and I can never repay you but let you know how grateful I am for your love!